Tibet, also known as “the roof of the world”, is a country that lies north of India and Nepal and is situated on the largest and highest plateau in the world. The country was an independent Buddhist nation, till 1949, with rich knowledge of Mahayana and Vajrayana teachings of Buddhism. 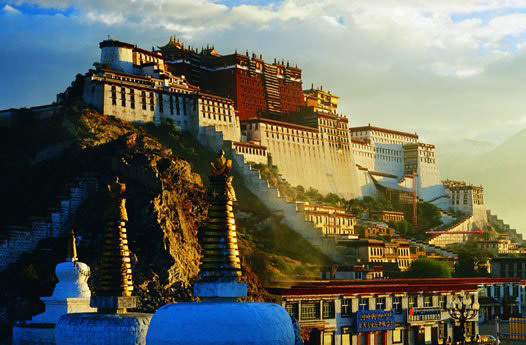 Tibet has a long and rich history as a nation existing side-by-side with China while political power in Asia shifted between empires and kingdoms. 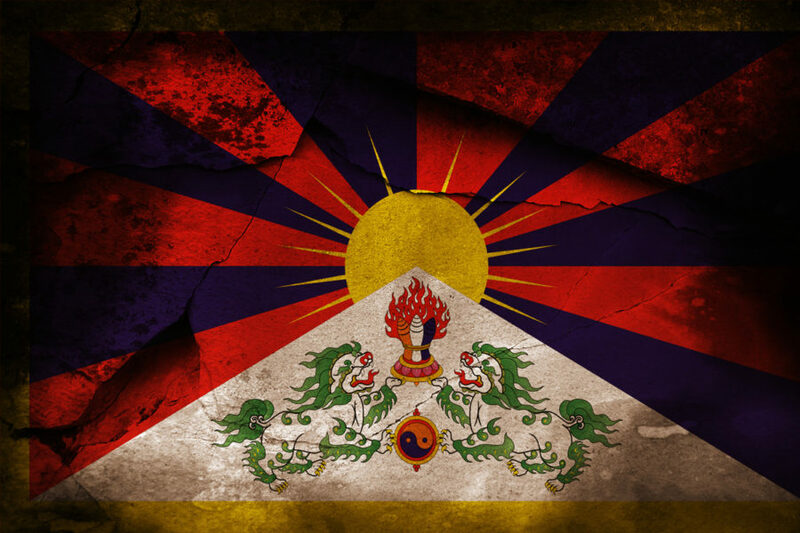 In 1913, the 13th Dalai Lama issued a proclamation reaffirming Tibet’s independence and the country maintained its own national flag, currency, stamps, passports and army. Tibetan leaders entered a peaceful agreement with the Mongols rulers to avoid conquest of Tibet. In exchange for protection and patronage, the Tibetan Lama promised the Mongols political loyalty, blessing, and religious teachings. The agreement continued until the 20th century, and the people experienced a cultural and spiritual prosperity. 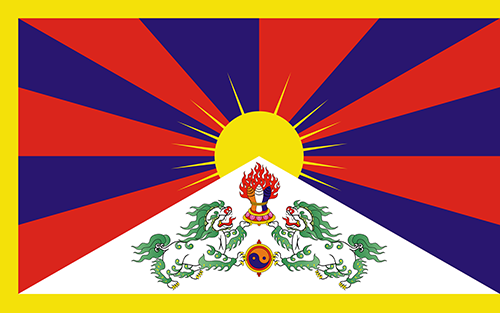 The Tibetan national flag is intimately connected with the authentic history and royal lineages of Tibet which are thousands of years old. Furthermore, in the Tibetan Royal year 820 or in the seventh century of the Christian era, at the time of the Tibetan religious King Song-tzan Gampo the Great extensive land of Tibet was divided into large and small districts known as “gö-kyi tong-de” and “yung-g’i mi-de”. Tibet’s neighbouring countries have always considered Tibet as an independent nation and Tibet has always had congenial relations with Bhutan, Nepal, British (later India) but relations with China have always been rocky as China kept urging Tibet to join the Chinese Republic and waged border wars on it. Tibet never maintained too many international relations and remained a peaceful country. Even in the World War 2, Tibet stayed neutral despite continuous pressure from United States, United Kingdom, and China to allow passage through the country. In 1913, Tibet was invited by Great Britain as an independent and sovereign country to participate in the tripartite conference held in Simla between China, England and Tibet to reduce the border tension between China and Tibet. Although the conference failed but was a clear acknowledgment of Tibet as an International force by Great Britain. The country had its national flag, currency, stamps, passports, and army; signed international treaties, and maintained diplomatic relations with neighbouring countries thus acting like an independent country for years, until 1950 when China invaded Tibet. 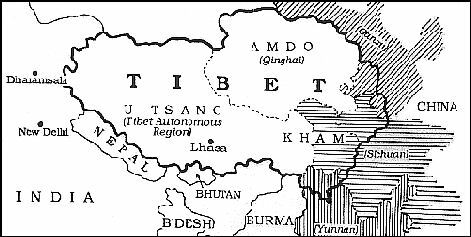 In 1950, the newly established Communist regime in China invaded Tibet, which was rich in natural resources and had a strategically important border with India. 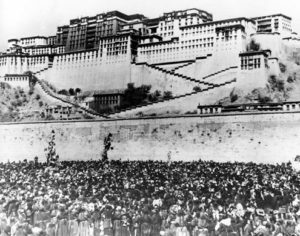 The year 1950 marks a turning point in Tibet’s long history. It was the year when the People’s Liberation Army of the PRC invaded the country. One of the many reasons that China gave for the invasion was that they were helping Tibet in driving out foreign forces which were not a valid reason as according to Tenzin Gyatso, the 14th Dalai Lama, there were only a handful of foreigners in the country, and they did no harm to Tibet. Then in May 1951, the Chinese government imposed the “17-Point Agreement for the Peaceful Liberation of Tibet” which lacked validity under international law because the agreement was made under duress. However, with 40,000 soldiers, fear of immediate occupation of Lhasa and the threat of destruction of Tibetan State left the government no choice but to agree to the terms. 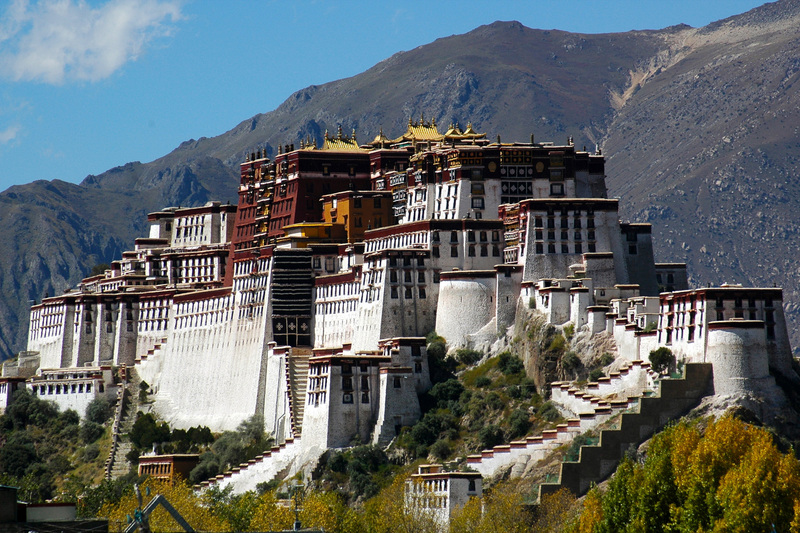 The rich cultured nation of Tibet, a once peace-loving and diplomatic country has been robbed of its historical and religious buildings. Till now 1.2 million people have died because of Chinese occupation, but this has not stopped the new generation to oppose to Chinese oppression and win the independence of their nation back.